This vacuum packaging machine with manual bagging evacuates and welds vertically even in the smallest of spaces and is thus particularly well-suited to small production lines or small series. The vertical packaging also enables vacuuming from above in bags which are directly positioned within boxes, cartons or barrels, thus enabling large containers to be simply and reliably packaged. 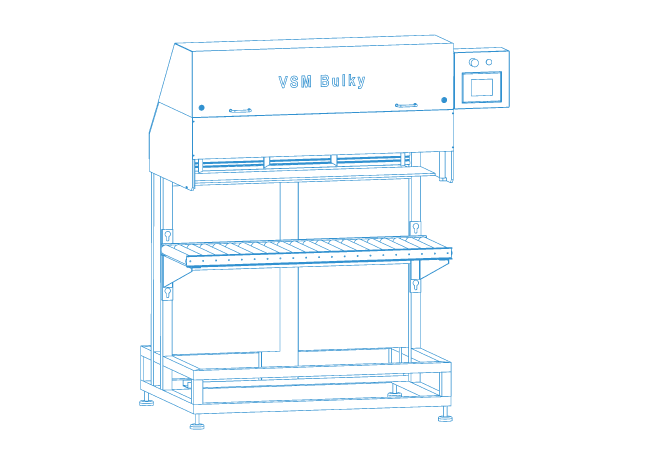 The VSM® Bulky is the all-rounder for packaging loose containers or large products in small series. The extra wide vacuum station with continuous welding bar enables easy vacuuming and welding of extra-large containers.